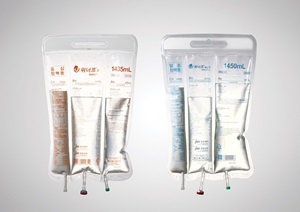 JW Life Science said it has become Asia’s first pharmaceutical firm to sell a three-chamber nutrient infusion Finomel (brand name: Winuf in Korea) in Europe. The Korean drugmaker said Baxter, a U.S.-based multinational pharmaceutical, obtained marketing approval for Finomel in Europe including the U.K., the Netherlands, and Belgium. Baxter has a global sales license of Finomel, developed by JW Life Science. Baxter is to release Finomel in the European market from the second quarter. Finomel is a three-chamber nutrient infusion where three ingredients -- lipid, glucose, and amino acids – can easily mix. The injection includes Omega-3 and Omega-6 ideally formulated to promote the recovery of patients. It also contains four lipid components, including purified fish oil (20 percent), refined soybean oil (30 percent), olive oil (25 percent) and MCT (25 percent), glucose, and amino acids. Among three-chamber nutrient infusions sold in Europe, Finomel has the highest level of Omega-3, JW Life Science said. The product also contains Vitamin E which helps boost immunity, it said. In 2013, JW Life Science signed a deal with Baxter for licensing-out, supply, and export of Finomel. The company built an additional production line (TPN Second Line) for the three-chambered nutrition infusion to automate all the manufacturing procedures including fluid bag molding, chemical filling, sterilization, and packaging. In March last year, JW’s plant in Dangjin, South Chungcheong Province, was certified with EU-GMP by Belgium’s Federal Agency for Medicines and Health Products (FAMHO).